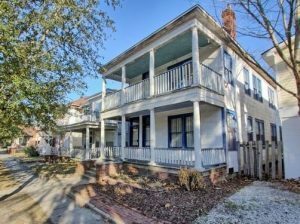 This adorable 1920s house in the Thomas Square neighborhood was crying out for help when we found it. 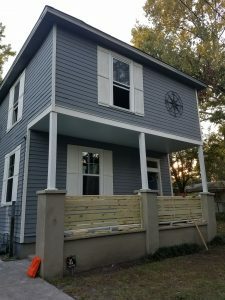 Previous owners had boxed in the original second floor porch to add another bedroom to the layout, leaving the flooring in the top half of the house with a 3″ drop. Left empty for a few years, people broke in and drew on the walls, broke windows and really just made a big mess of the place. Enter Vintage Home Restoration – within a matter of 6 weeks this down-on-her-luck lady became the grand dame we all knew she could be! 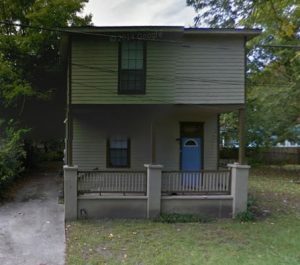 We re-leveled the second floor and basically brought this house down to the studs to make everything all right again. All new systems, flooring, kitchen and bathrooms made a huge difference in the look of this beautiful home.